Not all Halloween stories are spooky ghost tales that leave you wondering, what if? Some stories are merely a memory of what once was. The Land of Makebelieve in Upper Jay is now a ghost town destroyed by the forces of nature. Sadly nothing remains of what was once a child-size amusement park that left kids feeling like they had just jumped into a page of a favorite fairytale story. Designer Arto Monaco’s spirit lives on through his other theme parks that still exist and provide happy memories for children and families. From what I've learned, if I had been around when the Land of Makebelieve was here, I am absolutely positive I would have loved it! Arto Monaco’s story is an interesting one. 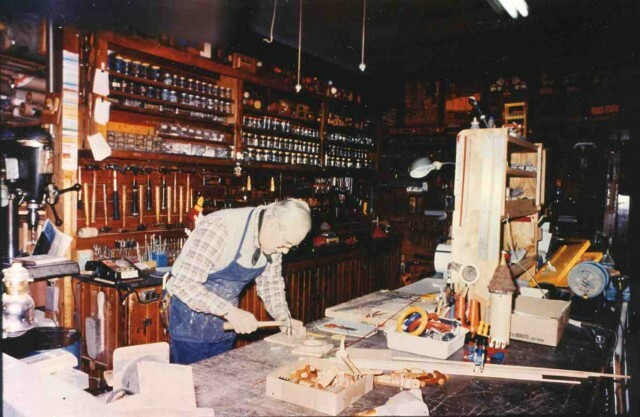 He was born in Ausable Forks in 1913, and he was a theme park designer, artist, and toymaker. In 1941 he joined the army to fight in WWII. His art career began almost as an accident. He raised his hand when a sergeant asked for someone to paint a sign, and from there his talent was put to use in the army, and eventually led to an incredibly successful future. He designed a Swiss-style village in California, and worked for the Ideal Toy Company in New York City, but eventually realized he wanted to run his own business. His father offered him the abandoned hotel across the street from their family restaurant, and Arto opened a toy company, selling many beautiful, wooden, educational toys. 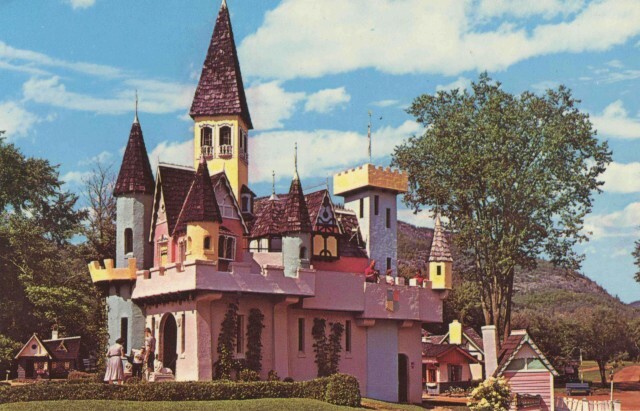 In 1953 he decided he wanted to build a theme park based on the idea of fairy tales and legends. He built the park in his backyard, and a year later, he and his business partner had built a dream land for children in Upper Jay. At the entrance was a majestic castle. Nearby were houses just tiny enough for children, Mary Quite Contrary, Peter Pumpkin Eater, and the Three Bears. 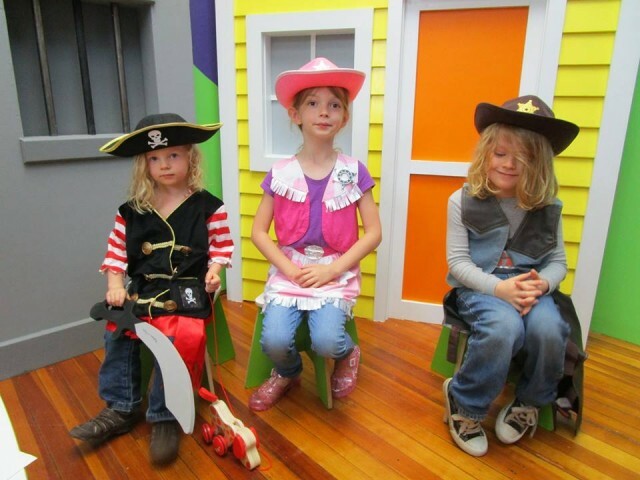 There was a train with cars just large enough for one child, and a pony-sized stagecoach. Everything was perfectly sized for children. Tens of thousands of people spent happy summer days at the Land of Makebelieve over the next quarter-century. In 1979, Monaco and his business partner reluctantly decided to close the park after the Ausable River had flooded for the eleventh time. The park was abandoned and sadly left to deteriorate for years. In 2011, the effects of hurricane Irene hit the Adirondacks, and everything was washed away by this historic flooding of the Ausable River. Before Irene hit some of the remains of the park were donated to the Adirondack History Museum in Elizabethtown, NY. The collection that was gathered by the Arto Monaco Historical Society was split between the Adirondack History Museum, Adirondack Museum in Blue Mountain Lake, and the Town of Jay historian. Arto’s legacy still lives on though. In 1947 Monaco was presented with an opportunity from Julian Reiss of Lake Placid. The idea was to create a theme park called “The North Pole” where Santa Claus would live year ‘round. Arto designed the complex, and in 1949 opened America’s first theme park. 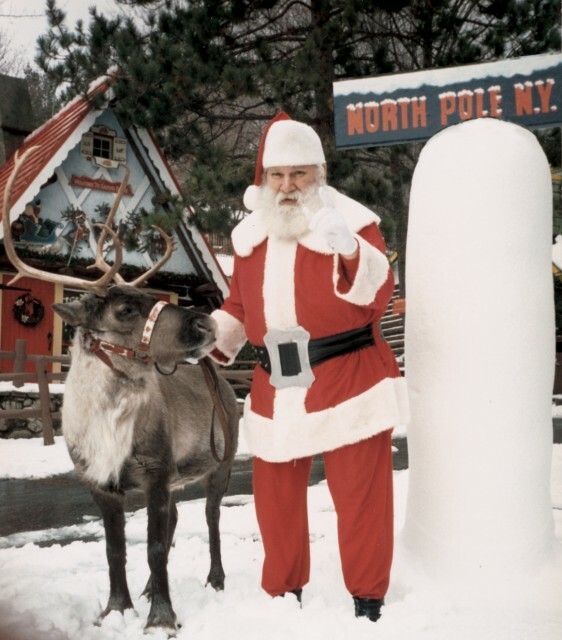 The North Pole, NY, Home of Santa’s Workshop is home to beloved fairytale and storybook characters, busy elves, live reindeer, and of course, Santa himself. The park is open mainly in the summer, but also hosts the Village of Lights on weekends through the month of December. Arto’s love of children and fairy tales is not lost in this theme park, as it is a magical park where children and families can experience the spirit of Christmas! Monaco also designed Storytown near Lake George, NY. You may know this theme park as the Great Escape now, after it’s name was changed by owner Charlie Wood. Arto’s imagination, craftsmanship and creativity provided inspiration for theme parks throughout the Northeast. Arto remains an important part of history — particularly in the Adirondacks. He was an amazing friend to children and adults alike and a great storyteller. Arto sadly passed after a battle with cancer just after his 90th birthday in 2005. As I’ve said though, Arto’s magical spirit still remains and will never be forgotten. This video is a tribue to Arto and all of the amazing memories that he created for others! The next time you stay in the Whiteface Region, don't forget to check out Santa's Workshop and see some of Arto Monaco's work for yourself!